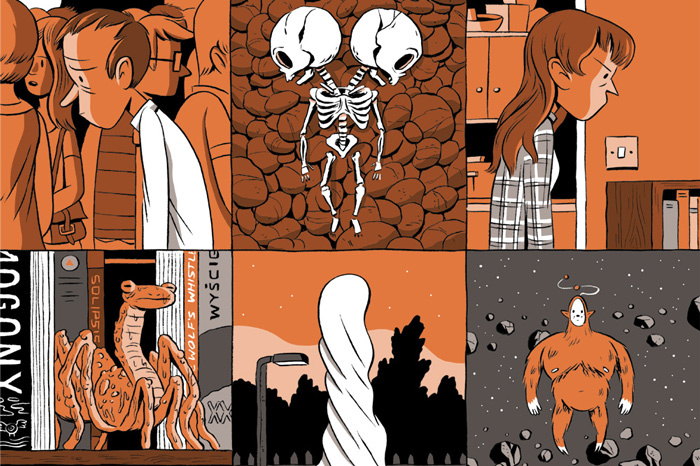 Next month we will be starting our very first Nobrow signing tour for Luke Pearson’s latest book ‘Everything We Miss’ kicking it all off in Brighton on the 16th of July at Dave’s Comics and then on the 23rd at Travelling Man Leeds, the hometown of half of Nobrow (the Sam Arthur half). We will then move on to Travelling Man Newcastle on the 30th and London in early August, more details on the latter to follow shortly. We will create separate event pages for each event, if you are anywhere near any of them, come and get your copy signed and scribbled by Luke Himself. Also everyone who buys a copy of the book on the day will get a special limited edition A2 poster free! Read More..
Fight #1 just released on pre-order! We are pleased to announce the pre-order release of Jack Teagle’s latest book Fight # 1 all copies will be sent off on Tuesday 5th July. All pre-orders are signed copies so don’t waste any time! Fight! # 1 introduces us to Lou (short for Lucifer), a British professional wrestler in his mid thirties. His career as the malevolent Diablo could never have been better, he has hundreds of expectant wrestling fans that queue every Thursday to watch him battle his fierce enemy Savior – the long locked, golden-skinned ‘good guy’. But Lou isn’t quite happy… You see Lou, both on and off stage, has the appearance of a devil. But in reality you could not find a milder mannered or gentle creature. Lou desperately yearns to be appreciated for who he is and not what he looks like, unfortunately being bright red and having horns doesn’t do him any favours. Turmoil develops when Lou threatens to leave wrestling, throwing the circuit into chaos. Despite being hated, he is also one of the biggest acts. The other wrestlers grow more and more concerned as their careers are increasingly threatened by the void where their arch nemesis once stood. Will Lou be able to live down his image? At what cost will he achieve his desire for respite and respect? Will his past ever let him move on? Read More..
Stuart Kolakovic Prints online release! 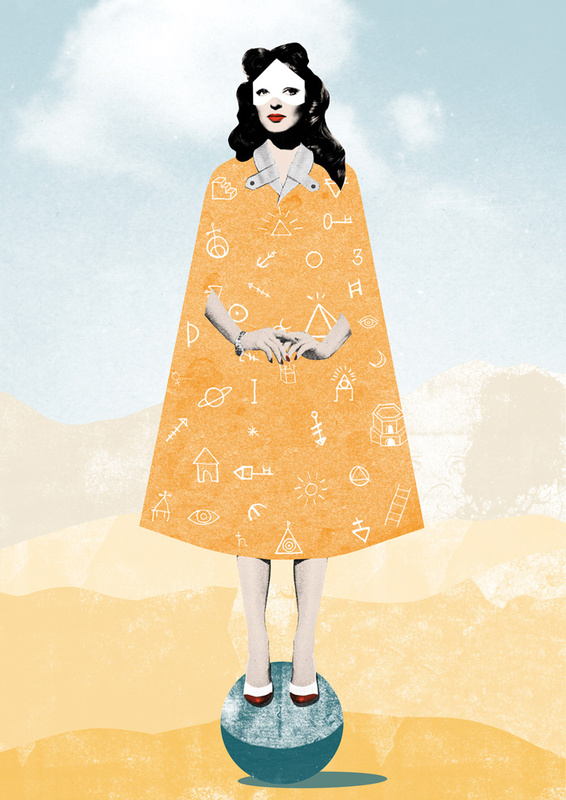 Two brand new prints by Stuart Kolakovic! 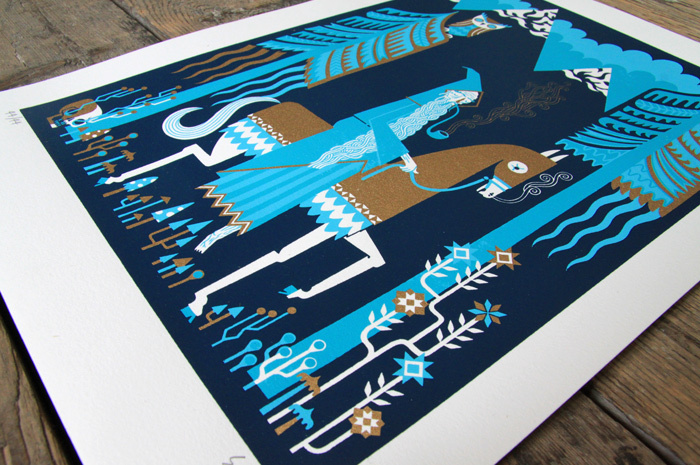 If Stuart’s last print series for Nobrow is anything to go by, these are going to fly. Inspired by medieval mysticism and sorcery, this print features an aptly dark looking wizard while it’s sister features an equally sinister witch. Both are from Stuart’s Under The Damp Earth exhibition. Printed in an edition of 44 prints in 4 colours, including a deep, rich gold, these are stunning prints to own as a set or individually. What are you waiting for? 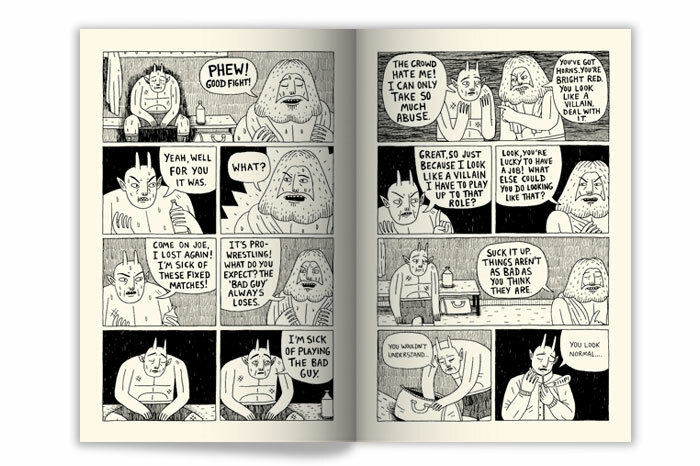 Big Mother # 1 by McBess has been released on pre-order and will ship on July 1st. All pre-orders will be signed and come with a free surprise Nobrow spot colour poster. 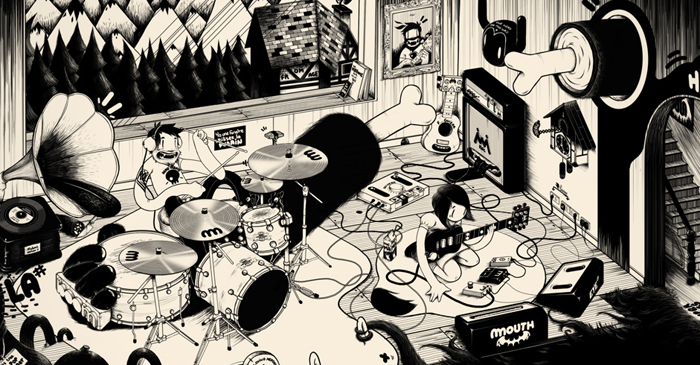 Don’t forget: it’s massive (A3), it’s a limited run (only 2,000 copies), and it’s McBess. Sure to sell fast so don’t waste any time. We are getting very excited about the upcoming release of Forming by Jesse Moyniham, especially since we got these proofs back from the printers! Forming is a super-mystical epic in which Jesse details the spawning of worlds, and the trajectory of consciousness on Earth. The first part of this epic trilogy, will be hitting the shelves of all good comic book stores in the UK on the 22nd of June 2011 so keep yours eyes peeled and your ears open. Breaking a long streak of male residents at our gallery here at Nobrow, on the 23rd of this month we are launching our next exhibition ‘House of Gold: An Exhibition by Butter’. These three very talented ladies will be taking you to the very depths of those elusive secret societies that exist in some parallel world – ever present, but always at the very edge of our periphery – their symbols, rituals, madness and opulence. Comprised of the work of three classmates who graduated in 2010 from Central Saint Martin’ s MA Communication Design course: Eda Akaltun, Eleanor Meredith and George Lewin, they combine their expertise in the fields of illustration, printmaking, animation and set design to spin a surreal and beautiful web of imagery, moving image and installation for your eyes only. Make sure you RSVP, after all when else will you get to visit the shrouded, mysterious House of Gold? Breaking a long streak of male residents at our gallery here at Nobrow, on the 23rd of June we launched ‘House of Gold: An Exhibition by Butter’. 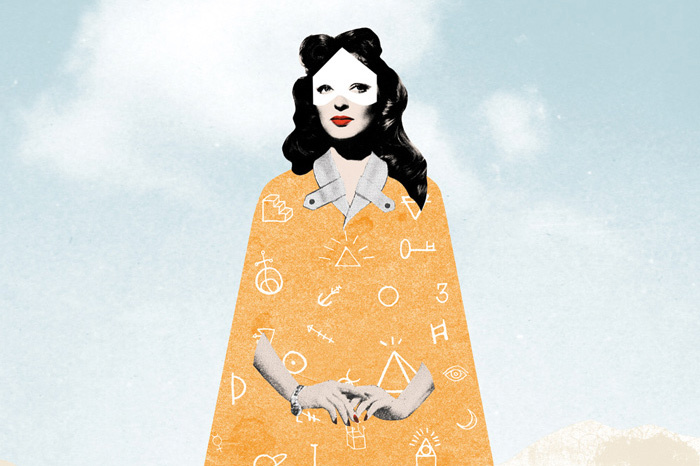 These three very talented ladies will be taking you to the very depths of those elusive secret societies that exist in some parallel world – ever present, but always at the very edge of our periphery – their symbols, rituals, madness and opulence. Comprised of the work of three classmates who graduated in 2010 from Central Saint Martin’ s MA Communication Design course: Eda Akaltun, Eleanor Meredith and George Lewin, they combine their expertise in the fields of illustration, printmaking, animation and set design to spin a surreal and beautiful web of imagery, moving image and installation for your eyes only. 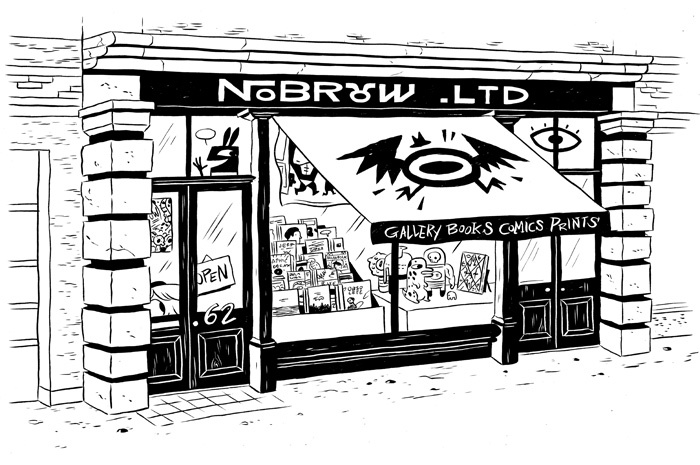 Nobrow Shop & Gallery will be open this saturday for the first time ever! 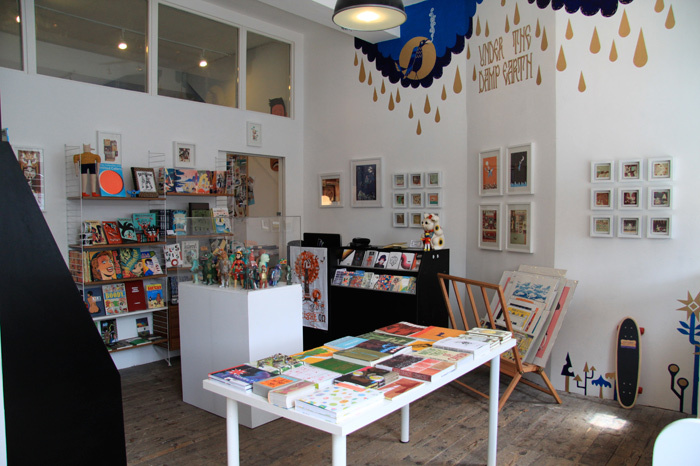 I’ll be here from 11 – 6 and I’ll give 10% discount off any Nobrow items. Under The Damp Earth by Stuart Kolakovic is still up in our gallery and we have a bunch of stellar new books in the shop. Come down and say hello! You can find us at 62 Great Eastern St, London, EC2A 3QR.